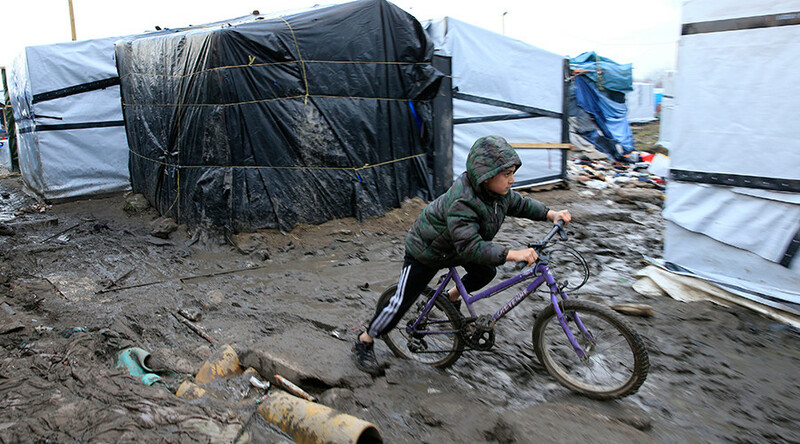 The UK has been refusing to take in unaccompanied refugee minors stranded in France’s Calais ‘Jungle’ camp, preventing them from being reunited with families there, according to the British Red Cross. 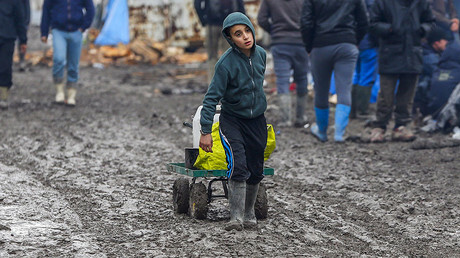 The camp is weeks away from demolition by French authorities. In a report entitled “No Place for Children,” the British Red Cross has struck out at UK Home Office bureaucracy that is causing unaccompanied children to be stranded and in danger of losing all protection and shelter once the Jungle is finally dismantled. There are currently some 1,000 unaccompanied children in the camp, with at least 178 of them eligible to go to the UK, thanks to existing family ties there, says the report. But the process of sending children from the camp to the UK is very sluggish, with 10-11 months taken to process just one child under the EU law known as Dublin III, which governs the establishment of criteria and mechanisms for deciding which member state will process the asylum application. According to the report, most of the issues stem from things such as administrative errors, as well as staff shortages. According to the Red Cross, the Home Office has been refusing to respond to official requests from the French to “take charge” – at times alluding to the law’s complexities, and at others claiming to have “misplaced” the requests. Many of the children are still too young to understand the legal ins and outs of what is going on. As a result, many are frightened and desperate. At least three children have already died trying to make the journey to their families on their own. Tragically, they all had legal rights to claim asylum in the UK, but couldn’t wait any longer for their cases to be processed. That is not to say anything of the psychological trauma they face. “Right now, the system for transferring children who have a right to be in the UK has numerous problems,” director of refugee support, Alex Fraser, said. “Children, who could be rebuilding their lives in safety with their only surviving relatives, are instead being left to fend for themselves in conditions unimaginable to most adults,” he added. Those with family in the UK are being held back by a complex bureaucratic process, which is to say nothing of those children who do not have family waiting in the UK, and who find themselves at an even more disadvantaged position. Recently, French President Francois Hollande renewed his vows that the “Jungle” camp would be completely dismantled. The camp has faced several attempts at destruction, its inhabitants relocating multiple times. But crime, coupled with an absence of the rule of law, and human rights abuses had made it completely unmanageable. “With the forthcoming evictions in Calais reportedly planned by the French government, these bureaucratic problems are now more pressing than ever,” Fraser writes. “We need urgent action from both the UK and French governments. “Children with a legal right to be here should be on the Eurostar across the channel, not being dispersed somewhere else in France, with no idea when they can join their family,” he said, adding that France and the UK share the same goal. There are currently 5,000-10,000 migrants stranded in the camp.